I’M BACK! Okay okay I know I keep saying that, and this time I’m not promising anything because I am very on and off with blogging these days. I’m not sure what’s going on with me at the moment, so I’m sorry if my posts are infrequent but I’ll be trying my best to keep up! I saw this tag over on Lorryn’s blog AGES ago and I thought I would do it because it sounds amazing. I was only born in 97 so it’s not like I have any memories of the 90s, but that doesn’t mean I still don’t love everything about the 90s! Please, please, please steal this tag and spread it around! I only ask that you link it back to The Literary Phoenix so that I can see everyone’s answers! Freeze tag was all the rage in the 90s. Tag someone (or many) you think would have fun with this! Gotta Catch ’em All! The author you need every book from. Jay Kristoff – I need everything he has ever written, is currently writing, or will ever write!! Synopsis: When you think you’re safe, YOU’RE NOT. When you think the past is over, IT ISN’T. When you think you know someone, YOU DON’T. When you think you’ve guessed this twist, YOU HAVEN’T. One moment will change three women’s lives forever. I AM SO EXCITED TO DO THIS BOOK TAG!!! Also just a little side note – YES I am listening to the Beauty and the Beast soundtrack whilst I write this up – because why would I not?? The wonderful Sarah from Book Hooked Nook tagged me in this and I can’t thank her enough! Beauty and the Beast is my favourite Disney film ever (I literally have a thigh tattoo dedicated to it! ), so combining it with books is HEAVEN! Synopsis: There are secrets around every corner in Fayette, Pennsylvania. Tessa left when she was nine and has been trying ever since not to think about what happened there that last summer. She and her childhood best friend Callie never talked about what they saw. Not before the trial. And certainly not after. But ever since she left, Tessa has had questions. Things have never quite added up. And now she has to go back to Fayette–to Wyatt Stokes, sitting on death row; to Lori Cawley, Callie’s dead cousin; and to the one other person who may be hiding the truth. Only the closer Tessa gets to what really happened, the closer she gets to a killer–and this time, it won’t be so easy to run away. A debut that packs a punch, this is Kara Thomas at her finest. The writing style is completely captivating and the POV of the story pulled me in from the very first page. The Guilty Reader Book Tag – 2.0! I’m back once again with a good ol’ tag! This time I was tagged by the wonderful Sarah from Book Hooked Nook – thank you so much for tagging me, and I’m sorry it’s taken me so long to do it! I did this post before back in 2017, but when Sarah tagged me I thought it was time for an update! Let’s get into it! Have you ever re-gifted a book that you’ve been gifted? I’ve given friends books I’ve gotten because I’ve read them and no longer want them, but I would never purposefully re-gift a book! Have you ever claimed to have read a book when you haven’t? There aren’t any books that come to mind when I think about it – so hopefully I haven’t done that! GUILTY OKAY – I once accidentally borrowed Black Beauty from the library and then moved away from it and kept it! I’M SO SORRY. I accidentally read Moriarty by Anthony Horowitz, but never read the first book in the series. NO BECAUSE WHO DOES THIS?!?!?!?!?!?! Have you ever skipped a chapter or a section of a book? I tend to skim books when I’m wanting to DNF them – however I do normally skip Nesryn’s chapters in the TOG series because she is BORING AF. Have you ever bad-mouthed a book you actually liked? Why?!?!?! If I love a book, I am loud and PROUD about that book! I hope you all enjoyed this tag! Leave a comment below with what you thought of my answers, or what your answers would be! 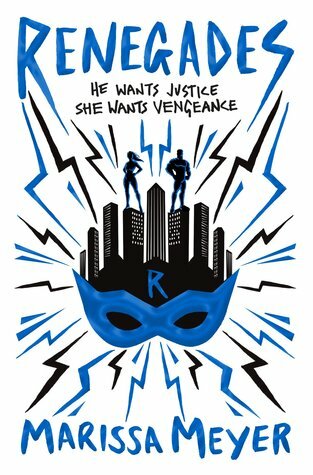 Think Jessica Jones meets Criminal Minds with a little bit of Fifty Shades and you’ve basically got this book. I’m back with another book tag – it’s been a while and I’ve missed out on so many good ones recently! I have a HUGE list of ones I want to catch up with, but if there’s any other great tags you want me to do, just let me know below! This tag I saw on Lucy’s wonderful blog, That Book Gal, SO long ago – but I knew I wanted to do it! Here we go! What is the most controversial book you have read/own, and why? Synopsis: Alicia Berenson writes a diary as a release, an outlet – and to prove to her beloved husband that everything is fine. She can’t bear the thought of worrying Gabriel, or causing him pain. Until, late one evening, Alicia shoots Gabriel five times and then never speaks another word. Forensic psychotherapist Theo Faber is convinced he can successfully treat Alicia, where all others have failed. Obsessed with investigating her crime, his discoveries suggest Alicia’s silence goes far deeper than he first thought. And if she speaks, would he want to hear the truth? An exciting new mystery thriller that will leave you hooked from the very first page. I absolutely love looking at everyone’s statistics and although I hate doing it for actual mathematics reasons, I love looking at my own stats too! So when I did this last year after finding it on Literary Me, I couldn’t help but do it again! This is hosted by Andi’s ABCs & Book Addict’s Guide so make sure to give all three blogs some love! I’m sorry it’s so late but it’s finally here! Let’s get on with some good ol’ stats! 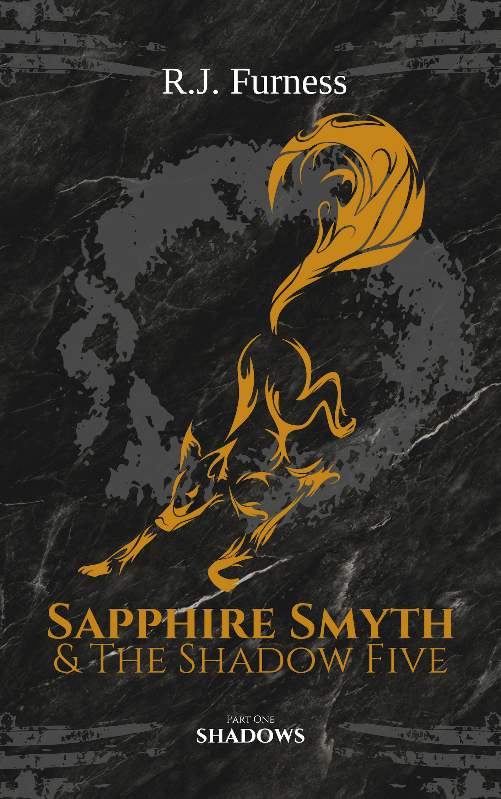 Synopsis: Sapphire Smyth is no stranger to rejection. When she was only a baby, her father abandoned her after her mother died. Since then, Sapphire has never felt like she belonged anywhere, or with anyone. To make things worse, Sapphire’s foster carers have now turned their back on her – on her eighteenth birthday. After living with them throughout her childhood, Sapphire has to find a new home. Is it any wonder she finds it hard to trust people? Abandoned by the people she called family, Sapphire is alone and searching for some meaning in her life. Except that meaning has already come looking for her. When Sapphire discovers mysterious creatures lurking in the shadows, she soon realises that her fate is unlike anything she had ever imagined. A thrilling new novel by the wonderful writer and creator of the fantastic Orgo Runners series, R. J. Furness.